Toronto has been home to many talented artists and lately they have been producing even more GREAT talent! It seems that while Toronto artists are getting attention, the producers aren’t getting as much shine outside of the north. Introducing Jordon Manswell. Jordon Manswell has been putting in work and within a year he gave us three projects: Big Mouth, Every Blue Moon, and Before the End of the Night. All three projects are great from start to finish and he even featured Sevn Thomas, Cxleb, and his brother Aaron Manswell. Moreover Jordon Manswell got his music played on Beats1 Radio thanks to Soulection. 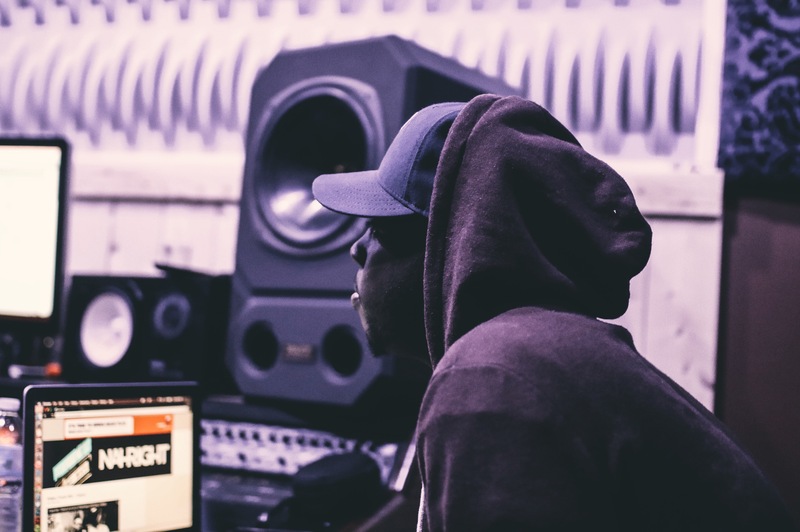 It’s only a matter of time before you hear about Jordon Manswell, so why not get to know him with the interview below as we talk about Toronto, his production and creativity. How you doing Jordon Manswell? How’s life? Life is great, God is greater. I cannot complain man. How long have you been making music for? You’ve only produced, no songwriting? I’ve been making music ever since the 5th grade, so 11 years? I do a little bit of songwriting, but that will come to light one day once I’m in a better position where my opinion is worth more than it is now. You being from Toronto, how does it feel that your city is finally getting recognized? How would you personally describe the Toronto sound? The new uprising of Toronto is amazing. I’ve always felt like we’ve had some of the most talented people in the world, so this is in no way surprising, it’s just really awesome to watch it come to fruition. And the crazy thing is that this is just the beginning. So much more talent is coming to take over the world from the city. I don’t associate Toronto to a sound, but more of a colour or a texture. I see blue when I listen to most Toronto music. Like, different shades of blue. It’s weird, I know. My production sound is very colourful. I don’t ever stick to one sound, I just create based off of how I’m feeling at that point in time. But you’ll still be able to tell that I’m from Toronto, if that makes any sense. I love melody, I don’t like making dark music. Are you open to any genre? Of course. My mom wouldn’t let my brother and I listen to anything else but 98.1CHFI (a soft rock radio station in Toronto) in the morning on the way to school because she hated hip hop. We actually had to sneak to watch BET in the basement. One time my brother and I were playing Dem Franchise Boyz in the car by accident – because we used to burn CD’s to take in the car to hear the basslines – and she snapped the disk in half. She also played a lot of Kirk Franklin, John P. Kee, Luther Vandross, Alicia Keys, and stuff like that. Hip-hop is not even what interests me the most in music, but it’s a huge part of my drums. What instruments and programs do you guys use to make your music? What’s your process when making a beat? Do you have the artist/songwriter sit in while producing or do you already have a vault of your production? I actually prefer making beats by myself in my room, or in a weird place like the library, or a coffee shop with some headphones. I almost never have a session with a songwriter or artist where they are in the room while I’m making the beat. Usually if a song comes together, I either played it for the artist personally, or I’ve worked with another producer and they get the record in the hands of the artist or it’s through e-mails. As a producer what do you look for in an artist or songwriter, if they want to work with you? Anybody that doesn’t sound like everybody. Somebody who is top priority is the art and nothing else. Are you currently working with art artists or songwriters? Currently working with a bit of both. Mostly songwriters. I love working with songwriters because they just have such a unique perspective. Because they’re not too focused on being the “artist”, they’re able to really write from the heart and be creative. Most artists these days are too afraid to step outside of their box and experiment. They don’t have as much fun with their records as songwriters do. Man, you have given us three projects; Big Mouth, Once Every Blue Mood, and Before the End of the Night, what does that mean to you? Did you have any artist write to that production? Man, these projects mean the world to me because they literally kept me sane. They were my way of saying, “Hi, I’m Jordon. This is what I can do, so please trust me.” I’m not just a beat maker. I’m really a producer. I want to have a hand in everything. The artwork, the writing, the music, the mix, the way it’s presented, song titles, everything. These projects allowed me to really put my Producer hat on and take control and get these ideas out that I really believe in. I didn’t have to answer to anybody, I didn’t have to wait for anything. I put my own money up and was able to put together exactly what I saw in my head. As a producer, most times you’re playing the waiting game. Sending out e-mails of your music is exhausting. Waiting for artists to hit you back is exhausting. Waiting for confirmation and paperwork and stuff like that is exhausting. I’m like really impatient, so that stuff literally makes me go crazy. These projects were like therapy. I feel like I have so much to offer artistically and nobody was taking me as serious as I was taking myself, so I just said hey… Why not just do this myself? A lot of artists ask me if they can make a song to those beats, but I made the tapes in such a way where they aren’t just beats, they’re songs by themselves. There’s real stories attached to these projects. There’s real feelings attached to these projects. There’s really a theme behind these projects. I appreciate all the inquiries and all the love so so much, but those are kind of sacred to me. You can’t pick apart each beat because it is apart of one body. Some of those beats are ideas I started for other artists but nobody took them seriously so I decided to put it toward something that might actually be something other than a song that sits in my email. Which one of the three is your personal favourite and why? Great question. I’ve got to say Once Every Blue Mood. My brother Caleb, an incredible producer from Toronto as well, helped me come up with the name (which I modestly think is absolutely amazing), and he also helped with the mood of the project (see what I did there?). I think he’s one of the best out here, and I automatically love anything that he’s apart of. It’s so cohesive and I love the artwork so much (s/o Niko Nice for helping me get that vision out). That project was the one that really connected with people because it was such a chill vibe and easy listening. It just felt right when I put it out. I wasn’t worry about anything when I released it because I got that feeling while making it. It makes me feel good, and that’s what’s most important. I love all the other projects dearly, but that one is more the stuff I enjoy making the most. What are your goals and plans as a producer, creative individual? I’m still figuring that out as I create more and more. I’m really just creating and seeing where the work takes me. I never expected for my music to get picked up by people like Soulection for example. Getting radio play on Apple Music’s Beats 1 was a total surprise to me and that’s something I would have never dreamed of. But that came with something that I made because I naturally felt like I had to. I’m not much of a planner, and when I do plan I feel like it stifles the growth and potential of things, if that makes sense. I just like to do things naturally and organically and everything will happen as it’s supposed to. Hopefully more songs with words.